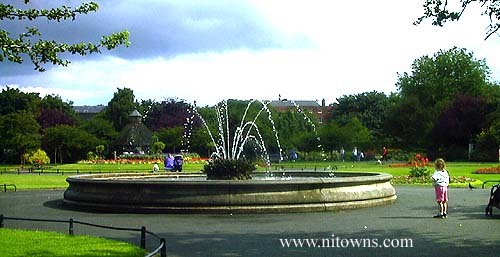 A short distance south of the city centre sits St Stephens Green, formerly a common land first enclosed in 1663. The gardens (22 acres-9ha), a beautiful combination of water, flower beds and lawn, was laid in 1880 by Lord Ardilaun, whose statue is situated on the west side of the green. 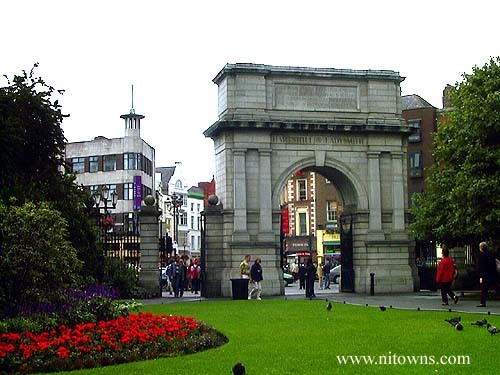 A view of the north-west gateway, St. Stephen's Green. 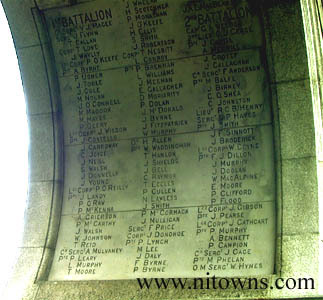 On the inside-top of the arch-way names of those who died in the Boer war are listed.